“I was a skeptic,” admits Dr. Thompson. An appointment was made for me to see a local chiropractor, Dr. Earl Morris, for pain I was experiencing almost daily after a high school baseball injury. I was reluctant but went to humor my parents. My mother had gone to her chiropractor for years and was passionate about its benefits. Dr. Thompson was accepted at Palmer College of Chiropractic in Davenport, Iowa and began his chiropractic education. After graduating in 1969 Dr. Thompson worked at Kentuckianna Hospital in Louisville, KY, treating children and completing an internship. He then returned to Ohio in 1972 to establish his practice. 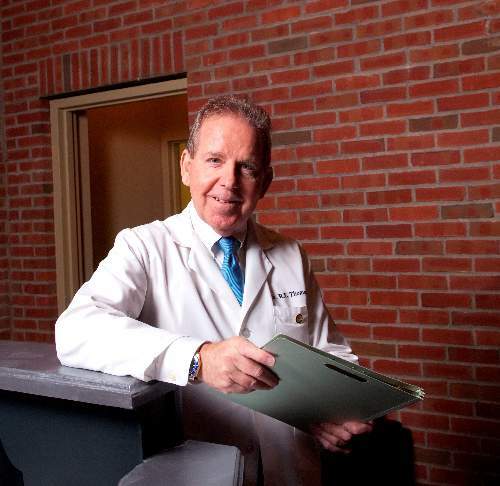 Dr. Thompson has been in practice since 1972 in Ironton, Ohio. He is married to Pam and they have one daughter, Mackenzie. After serving on the board for Ohio State Chiropractic Association in various facets and visiting the city of Columbus on many occasions, Dr. Thompson decided to start another clinic in German Village. He wanted to be able to offer chiropractic care to the people of that area that he had grown to love. Spinal problems rarely get better on their own. Call our Columbus chiropractic office today to get started with chiropractic care!